An exciting new indie concept is coming your way! The Polish Pickup is where a group of indies come together to create polishes on a theme voted in by members of the Facebook group Polish Pickup Pack. For the launch, which is a pre-order from April 7 to April 10, we have Famous Works of Art. The upcoming theme for May is Science. It's a great idea, and you can pick up as many or as few of the polishes as suit you. 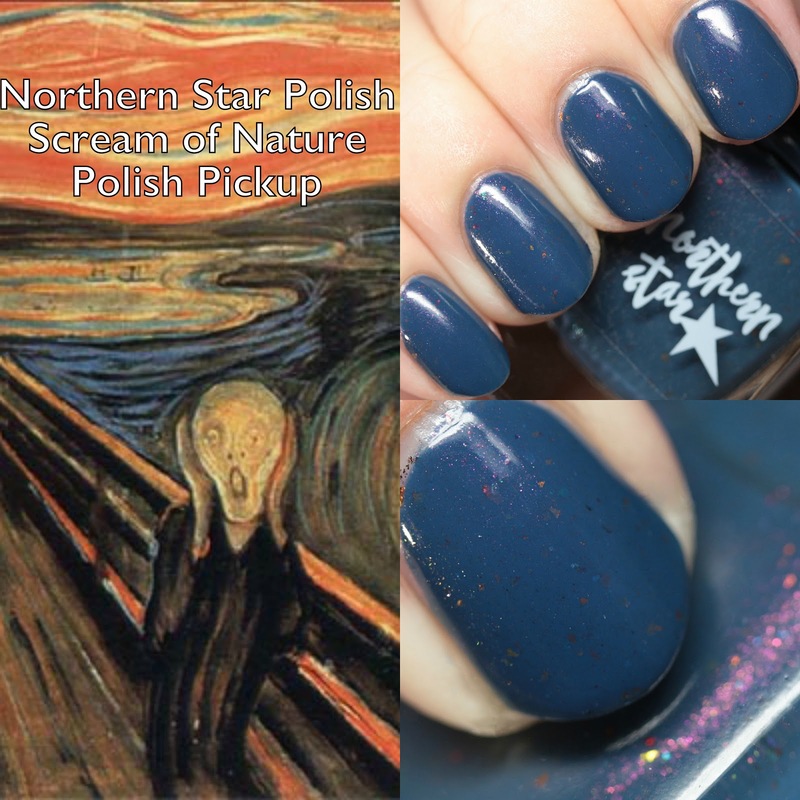 Northern Star Polish chose Edvard Munch's The Scream. Let's have a closer look at her interpretation! 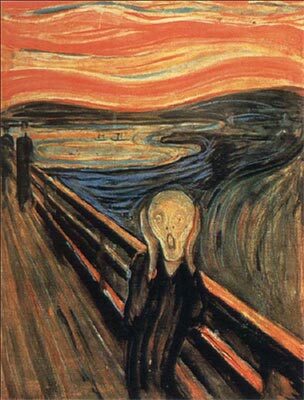 The Scream was actually a series of works on the idea, including renderings in painted and pastel form. The one I show below is the 1893 version at the National Gallery in Oslo. The German title of the painting translates as Scream of Nature, and that is the title of the polish Kristin created. 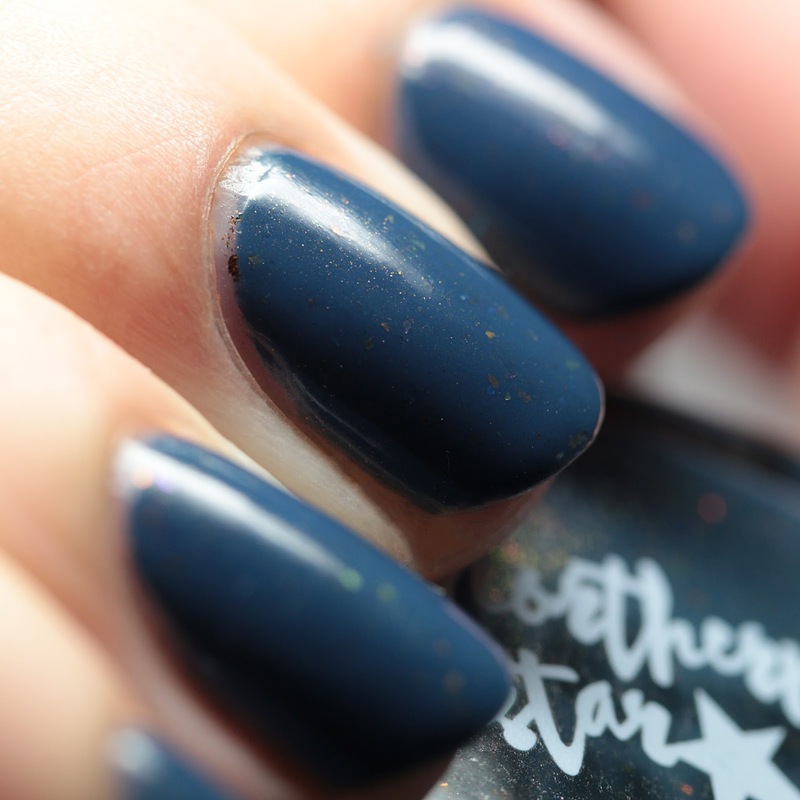 Northern Star Polish Scream of Nature is a queen blue jelly with pink-to-gold duochrome shimmer and a variety of multichrome flakes. This polish has instantly become one of my favorites. I love the muted, grayed blue of the base and the flakes just add a magic, stone-like effect. 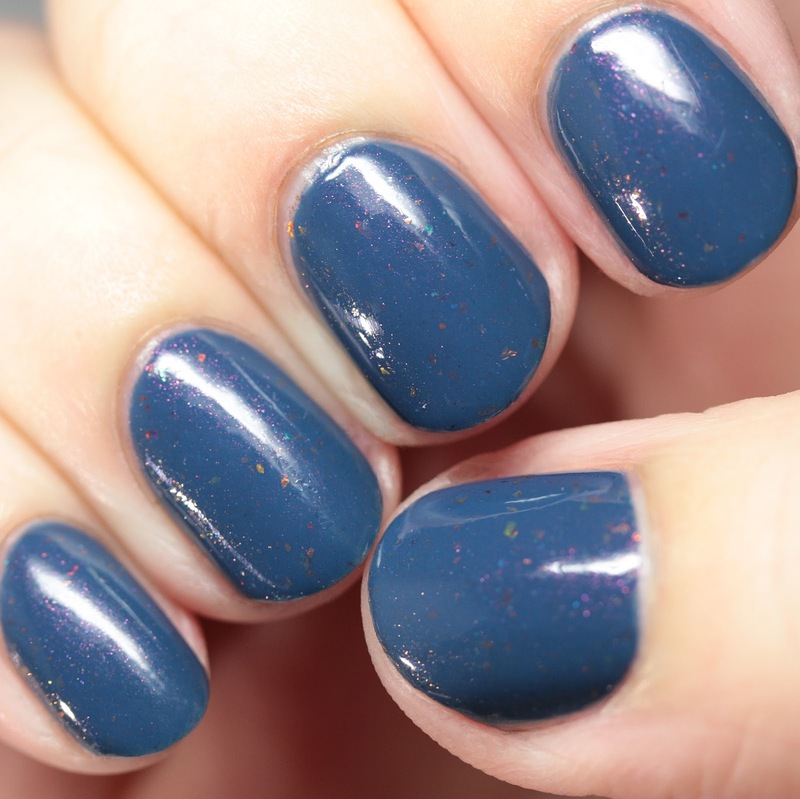 The polish, even though it is a squishy jelly, covers in only two thin coats and dries super-shiny on its own. It is literally perfection in every way from formula to idea! This polish will be available from The Polish Pickup for pre-order from April 7 to April 10.